Business executive, entrepreneur, and public speaker with a fierce drive for success and the will to make goals a reality. George is a veteran of the business world, having a tremendous amount of experience in the medical industry, particularly in pharma. Having spent the better part of his career in cultivating operations, he has developed an outstanding record of success in implementing strategies that improve business and financial goals. He began consulting independently with the primary goal of expanding his knowledge base beyond the pharmacy industry. While independently consulting for a Fortune 200 insurance company, he received multiple awards and accolades for his work in cultivating sales and leadership training. 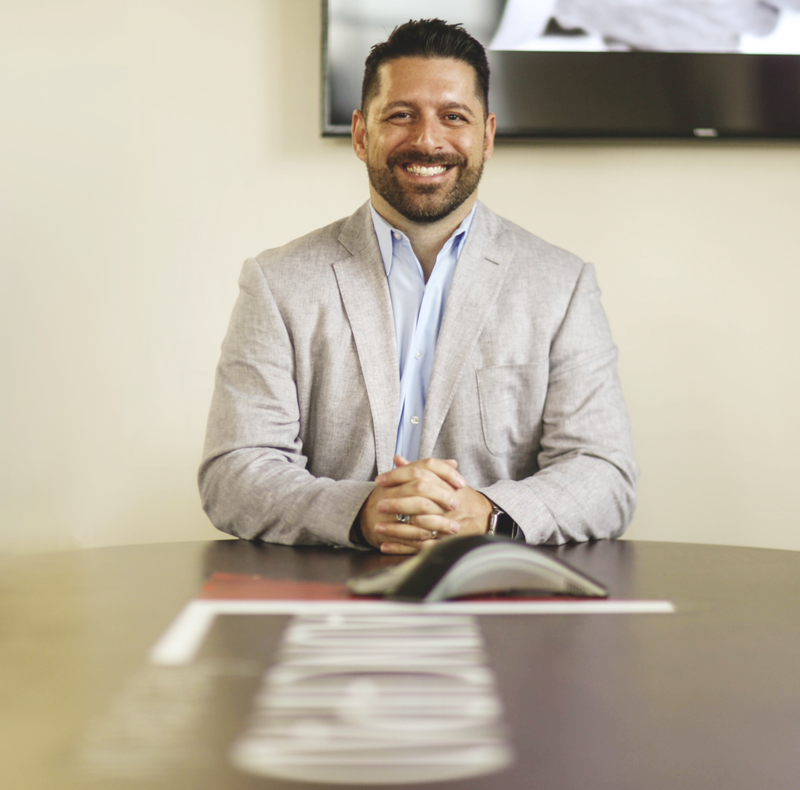 George’s leadership skills, business instinct, and years of experience led him to founding Launchpad Five One Six Business Consulting Group in 2013. Launchpad Five One Six is a culmination of over 15 years of accumulated knowledge and business strategy. George has achieved a tremendous amount of growth with Launchpad and has helped countless businesses to reassess their growth strategy and find success, both short-term and long-term. The quick growth of Launchpad Five One Six sparked the separation of its marketing division into a new entity. In 2014 he launched Media Convergence, a creative marketing agency. The first year of MC’s existence has brought a myriad of clients to the company, including their first Fortune 500 client. Launchpad and the other entities moved operations back to Farmingdale, where the main office now stands headquartered in the business corridor of Route 110. Since then, George has launched The reThink Tank (a think tank which focuses on bringing concepts to market) and acquired a partnership in Concierge 360. Concierge is a start-up tech company that brings on-demand concierge and personal assistant services to consumers via a mobile app. George is also an established public speaker, keynoting conferences across the country as well as doing motivational speaking engagements. 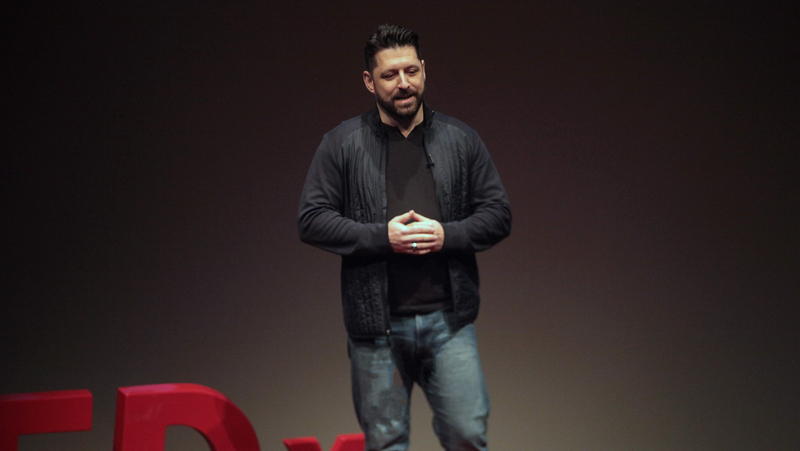 He is a proud two-time TEDx speaker and most recently was the closing speaker at the inaugural Speakers Who Dare in New York City. George’s most rewarding role has been with Shannon’s Fight, a non-profit foundation that he and his fellow board members founded in 2011. Shannon’s Fight was created and modeled in the image and vision of a young girl who was diagnosed with a rare form of childhood cancer and lost her battle in early 2013. Shannon’s Fight’s mission is to aid persons in times of medical crisis by providing financial assistance to the individual and/or the individual’s family. George served as the founding President and currently holds the position of Vice-President. He has since become a member of the Ronald McDonald Speakers Bureau and is a long-time volunteer for the Police Athletic League both as a coach and a director of basketball. He has won numerous awards for both his business accomplishments and his contributions to the community. Launchpad Five One Six is a management consulting firm that focuses on helping companies evaluate and correct problems, as well as prepare for and execute their growth strategies. They focus on areas of business such as organization, operations, sales, marketing, IT, and accounting. Launchpad Five One Six has the ability, resources, and the innovative thinking to collaborate with companies of any size and produce change from within. 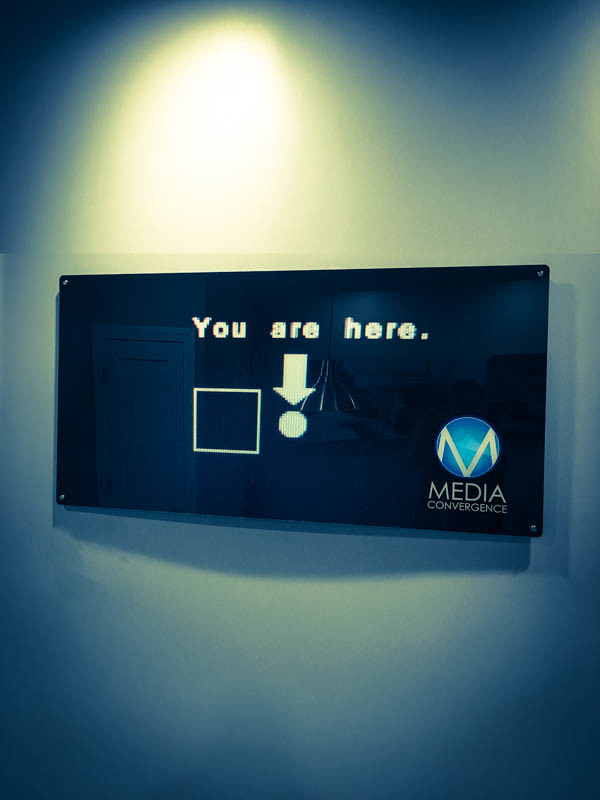 Media Convergence is a full circle creative marketing agency that encompasses every aspect of marketing, both digital and conventional. Web design and development, social media management, graphic design, branding, video production, marketing campaigns, SEO, digital advertising (PPC), email marketing, print marketing and marketing consulting. Concierge 360 is a start-up tech company that provides on-demand concierge/personal assistant services to clients through a mobile app. This on-demand concierge service is dedicated to enhancing the lifestyle of its clients by providing personalized concierge services with honesty, dependability and care. The reThink Tank is a dual-purpose company. The for-profit side is a think tank that produces concepts and ideas for market and entrepreneurial concept advisement. The other side of it is a community outreach initiative that brings together teams to act as an ad-hoc think tank for the purpose of problem solving without the cost of a consultant. Examples of groups that the think tank advises: school districts, local municipalities, non-profits, etc. Rudey Greetings is an e-commerce greeting card publishing company based out of the West Hoffman Business Center on Long Island, NY. A unique brand of cards that pushes the boundaries of conventional greeting cards. The company's tag line "our insult is your greeting" rings true for the brand's off-color sense of humor. The goal of Shannon's Fight is to provide individuals in medical crisis, as well as their families, with financial support. Additionally, they may from time to time provide funding for research, or to other non-profits. Shannon's Fight is dedicated to increasing knowledge and awareness of all diseases and illnesses that we come across in our recipients, and to provide every individual an opportunity to receive the highest quality of care, as well as to support their families through the recovery process. Consulting engagements focusing on helping companies evaluate and correct problems as well as prepare for and execute their growth strategies. George can focus on a specific facet of a business or perform a complete business consultation as a sole consultant or with an engagement team. Through his company, he has the ability to perform a full analysis of operations, human resources, financials, marketing, IT, and more, to help a company reach its desired outcome. With a growing resume of speaking engagements, George is quickly becoming an authority on business strategy and coaching. Wide spectrum of speaking topics ranging from business growth to marketing strategy to executive coaching and everything in between. 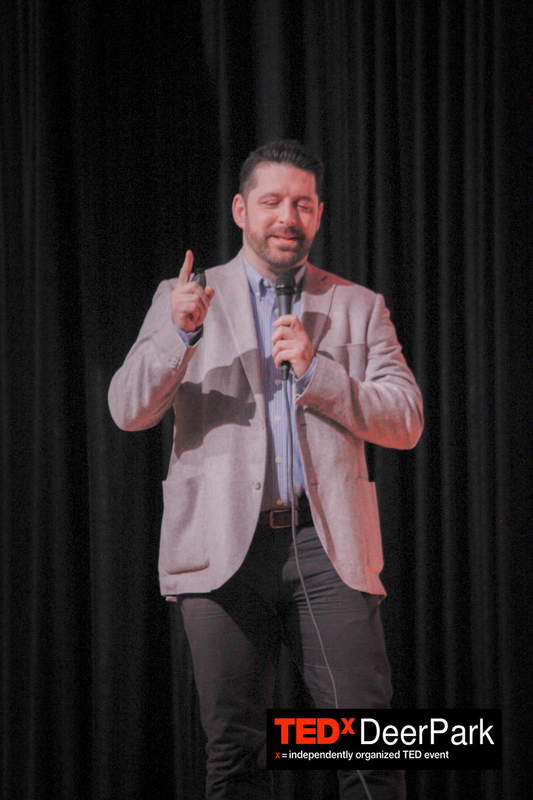 George is a conference keynote speaker, motivational speaker, college guest lecturer, and continues to develop a reputation as an engaging and informative speaker, most notably as a two-time TEDx alum. A proven branding expert, George has consulted, with great success, on the launch of numerous national and international marketing campaigns. 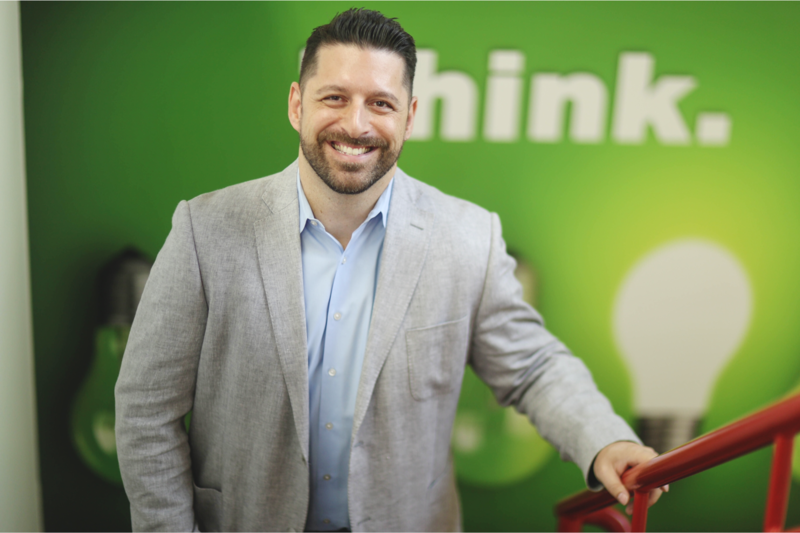 He combines his creativity with business acumen (and a sprinkling of technology) to help clients grow their businesses on both digital and conventional platforms, while building brands that focus on innovation and customer satisfaction. George offers services as a project based marketing consultant as well as a full marketing agency within his companies. Farmingdale’s Wall of Fame was initially established to honor distinguished Farmingdale High School alumni. Candidates for the Wall of Fame must have graduated from FHS at least ten years ago and have been successful in their academic pursuits. The 2018 Induction celebrates the three newest members to the Wall of Fame: George Andriopoulos, Walter Brem, and Victor Nelson. Acquisition International, a renowned global business publication, hosts the 2017 USA Consultancy Awards, in which they look to commend those advisors and consultants who have demonstrated excellence within their respective fields. Once a year they take the opportunity of profiling some of the most active and highly regarded consultancy firms from various jurisdictions and specialist areas, and award Launchpad Five One Six as Most Innovative Business Management Consultancy Firm - New York – 2017 USA Consultancy Awards. This event honors Top Long Island businessmen for their outstanding leadership and their contributions to the community. The prestigious honorees have included Joseph Ficalora, CEO & President, New York Community Bank; John Buran, CEO and President, Flushing Bank and Lou Grassi, CEO, Grassi & Co. This year’s honorees include Stew Leonard Jr. of Stew Leonard’s Supermarket Chain. This award celebrates Long Island’s top executives, signature firms and organizations. It recognizes those who consistently demonstrate remarkable leadership skills, integrity, values, vision, commitment to excellence, financial performance, community service and diversity. Since 1998, Long Island Business News has taken nominations for the top members of the business community on Long Island who are under the age of 40. These leaders of Long Island have distinguished themselves in business, government, education and the not-for-profit sector. They have a proven track record of career success, are involved in mentoring and promoting their profession and find time to give back to their communities. This inaugural event recognizes industry professionals for their excellence in marketing, communications, public relations, website and graphic design. George was recognized as the first ever recipient for the Social Media Professional Award, due to the work and reputation of Media Convergence. Launchpad Five One Six received the Best Business Consult Award for business consultancies in four consecutive years (2015, 2016, 2017, 2018). The award is offered by the New York Award Program. Recipients who receive the award in consecutive years are inducted into the New York Awards Business Hall of Fame, of which Launchpad Five One Six and George Andriopoulos entered for the Class of 2016. Launchpad Five One Six received the Best of Long Island Award in the services category for 2015. 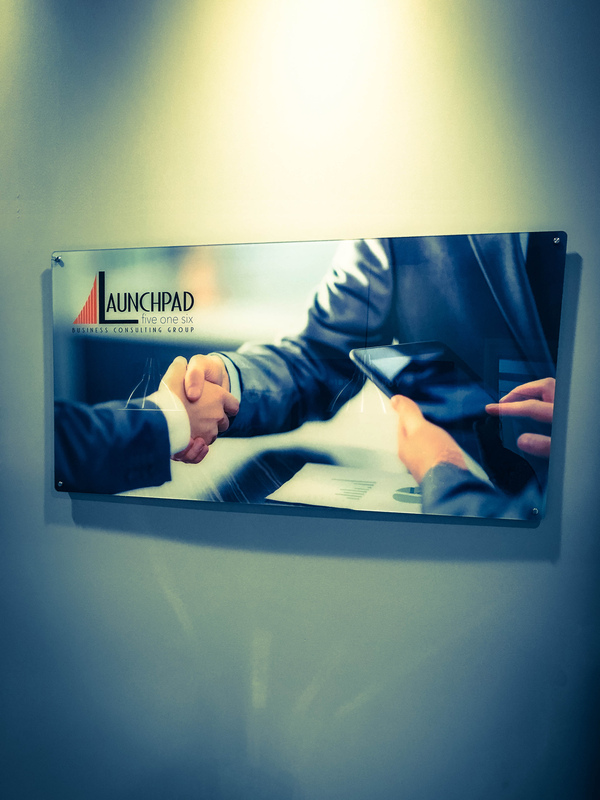 Although the marketing division shifted to Media Convergence in June of 2014, Launchpad was grandfathered into the Social Media Agency category and received an overwhelming amount of votes to garner the award. The award is offered by Long Island Press and presented by Bethpage Federal Credit Union. The Founders Award was created to honor the founders of AFLAC, one of the largest insurance companies in the world. As a Fortune 200 company, AFLAC offers multiple awards to recognize the individuals who have helped to mold the company into the business powerhouse that it has become. George received the award while independently consulting for the company in 2013. Presented a Citation by Town of Oyster Bay Supervisor Joesph Saladino for George’s selection into the Farmingdale High School Wall of Fame, recognizing his efforts that have greatly advanced the general welfare of the community and made a true difference in the lives of others. Presented a Citation by Nassau County Legislatures Rose Marie Walker and James D. Kennedy for George’s selection into the Farmingdale High School Wall of Fame, as a person who has proven himself to be a person of accomplishment and commitment; a person who has the ability to affect a lasting impact on the organizations and oceans with which he is involved. Presented a Citation by Nassau County Executive for George’s recognition as a 2017 Kings of Long Island Honoree, in fitting recognition and heartfelt appreciate of his dedicated and exemplary service to the community. Presented a Citation by Nassau County Clerk Maureen O’Connell for George’s recognition as a 2017 Kings of Long Island Honoree, as an outstanding citizen who is worth of the esteem of his peers, the County of Nassau, the Great State of New York and Our Great Nation on this sixth day of April, two thousand seventeen. Awarded a Certificate of Appreciate by Suffolk County Executive Steve Bellone for George’s achievement as a 2017 Kings of Long Island Honoree. As a co-op health insurance company, Health Republic Insurance of New York’s charter mandates that a majority of its Board are Member Directors. There, they provide organizational oversight and offer strategic direction on key business decisions.The 2014 Member Director nomination process began with over 170 members applying to be one of nine Member Directors. These nominees were then reviewed by the Nomination Committee of the Board for relevant experience and core competencies, narrowing the nominee pool down to 19 final candidates. George was chosen and nominated to the final 19 candidates. Due to time constraints and company responsibilities he withdrew his candidacy, but was extremely proud to be nominated. George was voted to a Board of Directors position for the Babylon Town Chamber of Commerce in 2013. The chamber was organized to advance the general welfare and prosperity of the Babylon Town Area so that its citizens and all areas of its business community shall prosper, with particular attention and emphasis given to the economic, civic, commercial, cultural, industrial and educational interests of the area. He provided a huge spark to the chamber, teaming with the board to lead an initiative to host the first large scale event in the chamber’s existence. He was later voted to a Vice-President position for 2014, before he stepped down to focus on Launchpad Five One Six. While independently consulting for AFLAC in 2013, George was presented with multiple awards for his work with their Long Island office. Amongst these awards were the Key Club Award, Triple Crown Award and more. 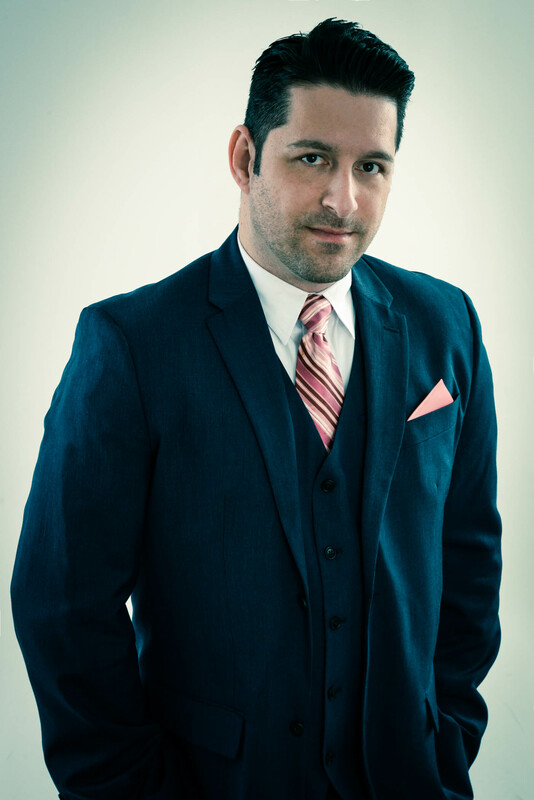 Contact George Andriopoulos to inquire about consulting services or to book him for a public speaking engagement.